4. Negative Marking for unattempted questions First 13 unattempted questions will have no negative marking. After that, 0.05 marks will be deducted for unattempted questions. The tradition 0.25 marks will be deducted for incorrect answers. While this looks scary in the first go, it is not too bad. Even if you leave half the paper, you will lose slightly less than two marks. You should still continue to attempt only the questions that you are sure of. Nothing has changed in that department. 5. General Knowledge section will have 25 questions with no negative marking. To help you prepare for XAT 2016, we have a bunch of courses that you can check on the link below. 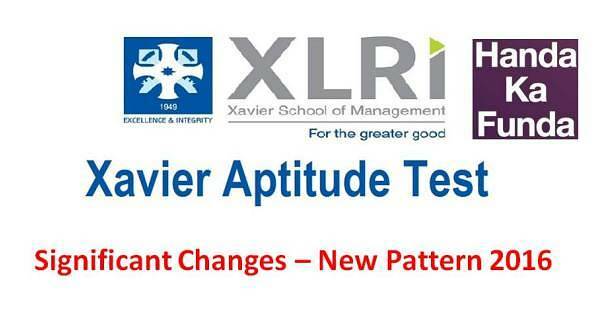 You can also download previous year questions for XAT Decision Making for free. b. excellent students not getting enough opportunities to showcase their ability because of too easy a question paper. We also tried to counteract the phenomenon of students leaving too many questions un-attempted. We appreciate the fact that “leaving the question” is also a sign of intelligence but we are also concerned that students are becoming risk averse in attempting to answer difficult questions. We believe that if one aspires to be a good manager, one should be able to take reasonable risk. That is how one “creates future possibilities”. To take care of both this issue, in XAT-2016 students have a choice of not attempting 13 questions. Beyond this, any unattempted question will carry the negative mark of 0.05. There would also be negative marking of 0.25 marks for any wrong answer. We believe this would encourage the risk taking ability of the students while making XAT robust in differentiating a good student from the not-so-good student. feedback into consideration the number of questions in the GK has been reduced to twenty-five. All the questions would be “General” in nature rather than “specific”. There would be no negative marking in this section. Official Link. The most important thing that you need to do well in XAT is Decision Making.